Commissioned to design this Two-Sided, Permanent Floor Display for electronics stores in Taiwan. 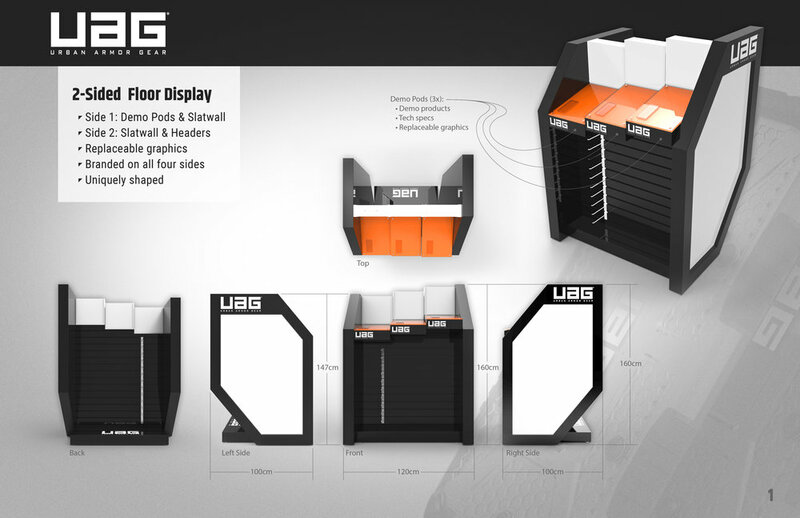 Urban Armor Gear, UAG, is a high-expectation client, who pushes every limit of their designs. The results of their pursuits surely show in their products and marketing!